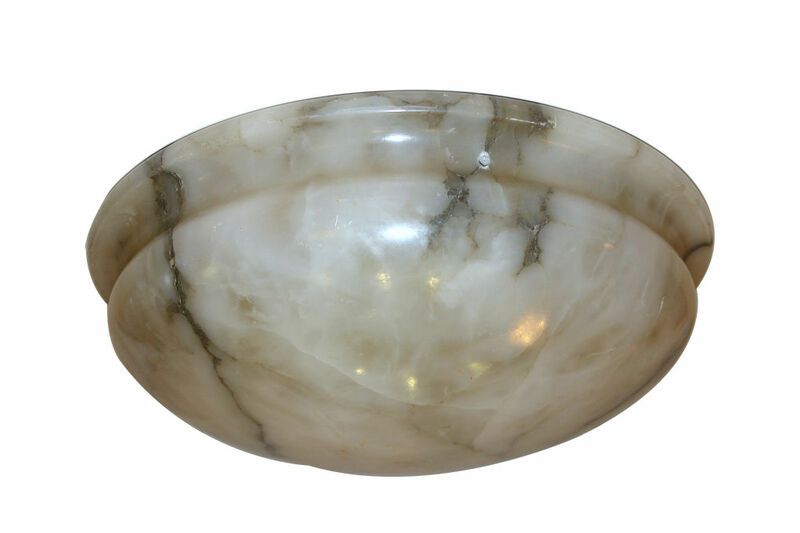 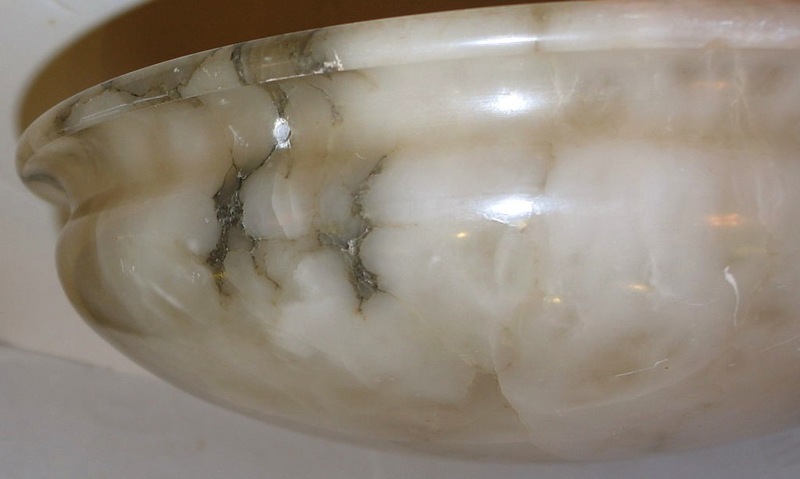 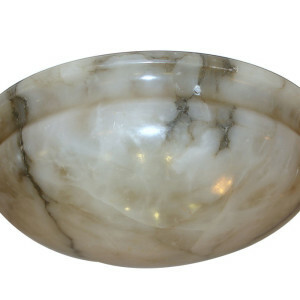 C.1920s, Italian carved alabaster light fixture to be fitted with silk cords or bronze chain. 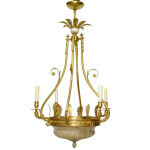 A neoclassic style, 1920's French chandelier with alabaster inset and with original gilt bronze finish. 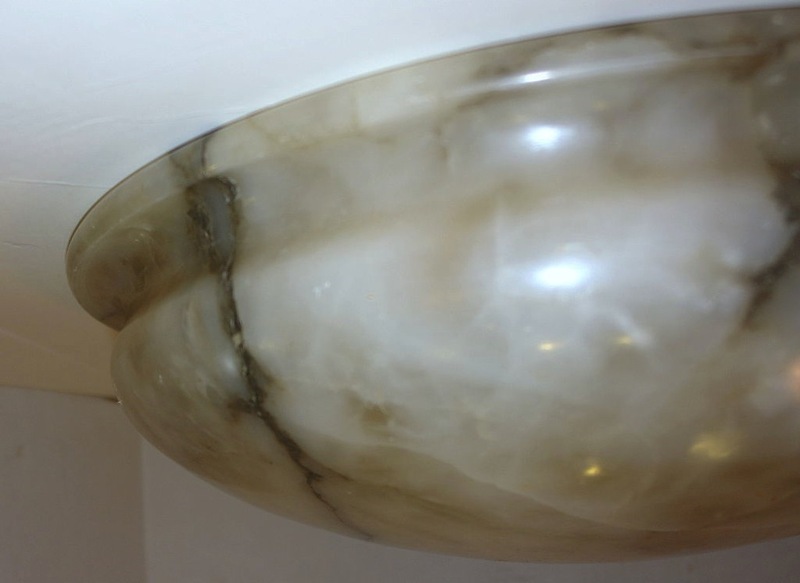 4 arms and interior lights. 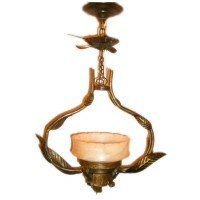 Price contact dealer Measurements Height (minimum drop): 39" Diameter: 24"
France, 1920s A circa 1920's French gilt bronze and alabaster light fixture with 3 interior candelabra lights. 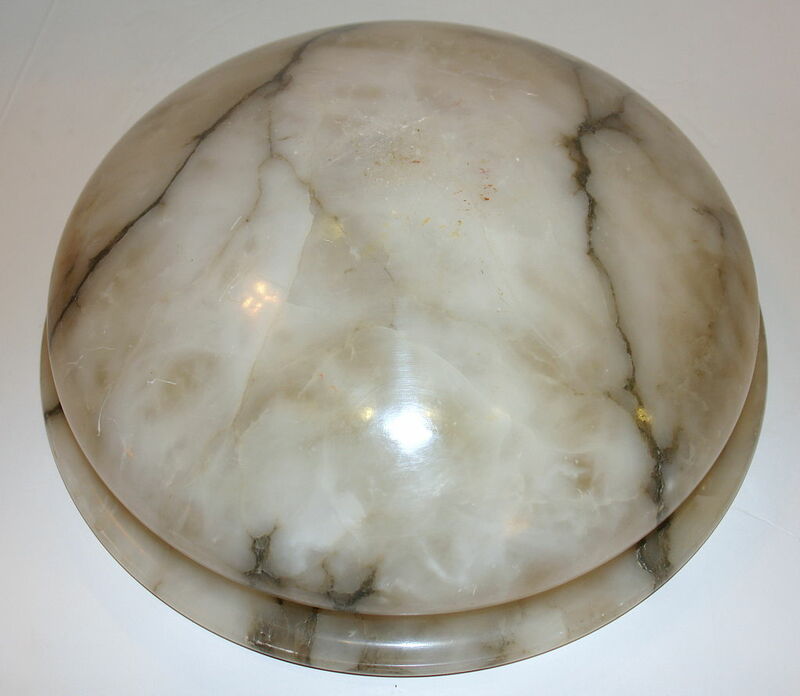 Measurements: Height (Drop): 27" Diameter: 18"